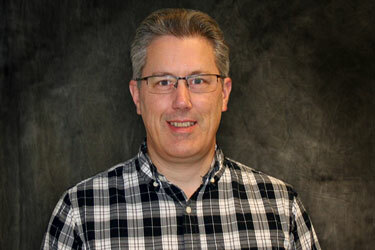 We are pleased to announce that Kevin Hammell has joined Strongwell in the position of Purchasing Agent. Kevin received his Bachelor’s Degree in Industrial Technology, with a minor in Physics, and a Master’s Degree in Business Administration from Winona State University in Winona, MN. He was previously employed by GEOTEK as a Buyer/Planner and has worked for other companies in the area including Halcon Furniture in Stewartville, MN, and Valley Design in Fountain, MN. Kevin resides in Rochester, MN with his wife Angie, two dogs, Marley and Lucy (Pomeranian and Pom-Chi), and one cat, Chino. He also has two daughters, Abbey and Anna. Abbey is currently working on her PhD in Behavioral Neuroscience at the University of Minnesota, Twin Cities and Anna is going to Winona State University for teaching English as a second language. In his free time, Kevin enjoys singing and volunteering with the Optimist Club of Rochester. Please offer your full support and join us in welcoming Kevin to Strongwell.